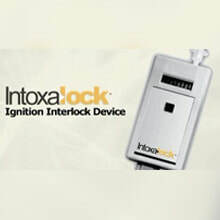 Intoxalock ignition interlock device is a state-of-the-art alcohol monitoring device that integrates your automobile's ignition system with a fuel cell based breathalyzer, to protect intoxicated drivers from hitting the road. Your car won't start unless your alcohol level is appropriate to drive! Getting a DUI can be costly, but by installing Intoxalock it doesn't have to be. Driving while intoxicated can cost you money, your license, car damage, and maybe your life. Don't risk it! The cost effective pricing of an ignition interlock system can save you money and aggravation in the long run. Court ordered mandates come with a higher fee than voluntary installation.